Give your health a boost by tapping into a Scandinavian tradition of rejuvenation that goes back to the Romans. Participants of yoga retreats, which are popular at The Monkey Tree, can benefit from the hotel’s Scandinavian spa hot-cold circuit to soothe muscles sore from yoga practice. When you think of visiting a spa, thoughts of massage, body scrubs, and facials likely come to mind — but the tradition of “spa-ing” is deeply rooted in health and has everything to do with water. While the origins of the word “spa” aren’t 100 percent clear, some historians have traced it to an acronym of three words related to ancient Roman public baths: sanitas per aquum, which translates as “health through water.” Others connect it to the 14th century Belgium mineral springs town of Spa. Cultures throughout the world, including American Indians like the Cahuilla, revered natural mineral springs and other bodies of water for their healing properties for thousands of years. In Europe, a tradition of “taking the waters” can be traced back to the Roman practice of immersing oneself in alternating hot and cold environments, including baths, steam rooms, and saunas. In Scandinavia today, the practice consists of exposing the body to a cycle of heat, then cold, and then a period of relaxation — and repeating that cycle three to four times over a few hours. In the winter, this could mean a stint in a sauna and then hopping into a cold pool or mound of snow. It’s easy to understand the lure (especially in the desert in August) when you consider the benefits of partaking in a hot-cold cycle. In addition to inducing relaxation and decreasing the stress response by soothing the nervous system, it activates the body’s circulatory and lymphatic systems thereby helping the metabolism better eliminate waste. This leads to detoxification and firmer, smoother skin (i.e., diminished cellulite). For distance and endurance swimming, The Monkey Tree Hotel features a saltwater tether pool maintained at 80 degrees. Gary and his wife, Kathy, created a Scandinavian-inspired water circuit at The Monkey Tree when they renovated the Nick Astrahantseff-designed property in 2016. [Astrahantseff was a longtime draftsman for E. Stewart Williams]. “We built the Scandinavian Spa for fitness and therapeutic reasons,” says Kathy. The spa complements the hotel’s other amenities geared toward active travelers, such as (among other perks) a homemade, healthy breakfast as part of a stay and rooms that cater to the fitness-minded. The Monkey Tree’s cold plunge pool is kept at a cool 55 degrees year-round. The Monkey Tree’s hot-cold circuit consists of a sauna, a hot tub kept at a therapeutic 104 degrees, and a cold plunge maintained year-round at 55 degrees. “That’s enough of a differential for therapy,” says Gary. “The idea is to have the body collect the heat, retain it, and then jump into cold.” Gary notes that even just 20-60 seconds in the hot and then 10-30 seconds in the cold is enough. “An additional benefit to the hot-cold cycle is that it helps you sleep amazingly well,” he adds. To stay true to the Scandinavian tradition, one follows a minimum of three steps: heating the body, cooling off, and then a period of relaxation — and repeating that at least three to for times within a few hours. The first step, heating up the body, dilates blood vessels on the surface of the skin, reduces blood pressure, and increases blood flow to the skin and muscles. You’ll also sweat, which helps cleanse the skin. The duration is up to 10 minutes. Next, you’ll fully immerse yourself in cold up to 1 minute, which closes the pores of the skin, releases endorphins, activates circulation, and increases your heart rate. The good news for the cold-averse is that you’ll receive benefits even if you can only stay in the cold a few seconds. The relaxation stage allows the cardiovascular system to regulate itself (stabilize blood flow and heart rate) and for the body temperature to normalize. Then, you’ll do it all over again several times, always to end with cold (not heat) before relaxation to leave the body’s systems stimulated for best results. You can recreate a hot-cold circuit in any spa that offers a soaking tub, sauna or steam room, and shower as part of its amenities — but to experience a real-deal Scandinavian spa here in the desert, a stay at The Monkey Tree Hotel is in order. The Monkey Tree keeps their hot tub at a therapeutic 104 degrees. 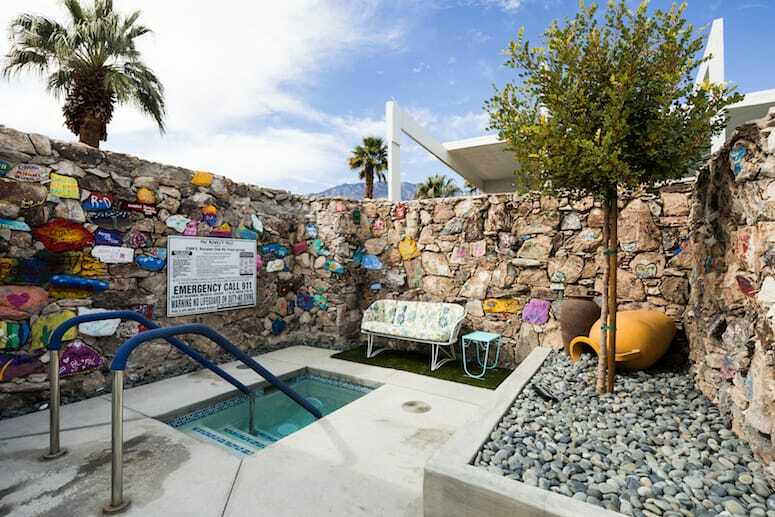 For Coachella Valley locals who are looking for relief from the triple-digit heat of summer, that 55-degree cold plunge alone sounds like reason enough to plan a refreshing “staycation.” Going home healthier will just be an added bonus. For more information, call The Monkey Tree at 760-322-6059 or visit themonkeytreehotel.com.